Mr. Bell was appointed as a Special Prosecutor to prosecute a State’s Attorneys’ husband for DUI. If you have been arrested for DUI in Illinois, you may feel reassured to be represented by attorney Ron Bell, who “wrote the law on implied consent” which still stands as legal precedent heeded in courts throughout the state. 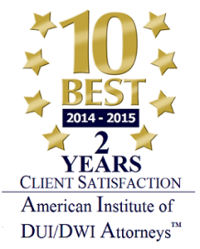 Contact the law offices of Ronald L. Bell & Associates, P.C. in Libertyville, Illinois, as soon as possible after your DUI arrest. The sooner you have DUI lawyer Ron Bell on your side, the more likely it is that you will be able to keep your driving privileges while preparing to contest the DUI arrest, if warranted. Attorney Bell has extensive experience, including the noteworthy case of People v. Powell, 437 N.E.2d 1258 (2nd Dist. 1982) where he was appointed as a Special Prosecutor in DuPage County in order to prosecute a State’s Attorney’s husband for DUI. 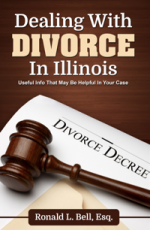 That case set forth much of the DUI law that exists in Illinois today. The breathalyzer is not designed to exclude all substances except alcohol. Which means that any substance detected by the machine is deemed to be alcohol even though it is not alcohol. This and other compelling arguments offered before the courts by attorney Ronald Bell often result in favorable outcomes (reduction of DUI penalties) for clients. Piercing evaluations of the circumstances behind a traffic stop are often effective in gaining lenient results for people who have been charged with driving while under the influence of alcohol in Illinois. Ron Bell is well acquainted with legal perspectives on equipment such as the breathalyzer, on medical aspects of substance abuse, family law, business law, and many other legal practice areas which may be affected by a DUI conviction. His ability to understand various aspects of a person’s life coherently and persuasively is one of his greatest strengths as a drunk driving defense lawyer. Did law enforcement engage in an unreasonable search and seizure in relation to your DUI arrest or drug possession charges? Ron Bell offers affordable preliminary case evaluations. To schedule a consultation with an experienced Illinois criminal defense attorney and DUI lawyer regarding your drunk driving (DUI) charges contact Ronald L. Bell & Associates, P.C.at 1-847-495-6000. DUI - Awesome Results!! Ron litigated for a friend of mine that had a DUI with multiple cars involved in an accident. Ron was able to get 9 counts eliminated and my friend will have a CLEAN driving record after a brief period of supervision. We could not have received a better result!! Ron delivers! He is very honest and does not overpromise but I have used him twice now and he has always come through!